Alutruk offers an economic aluminium Sack Truck that provides an ideal solution for delivery drivers or warehouse staff. We took on the Alutruk range of Sack Trucks because Alutruk is a great British product made by some really nice people. 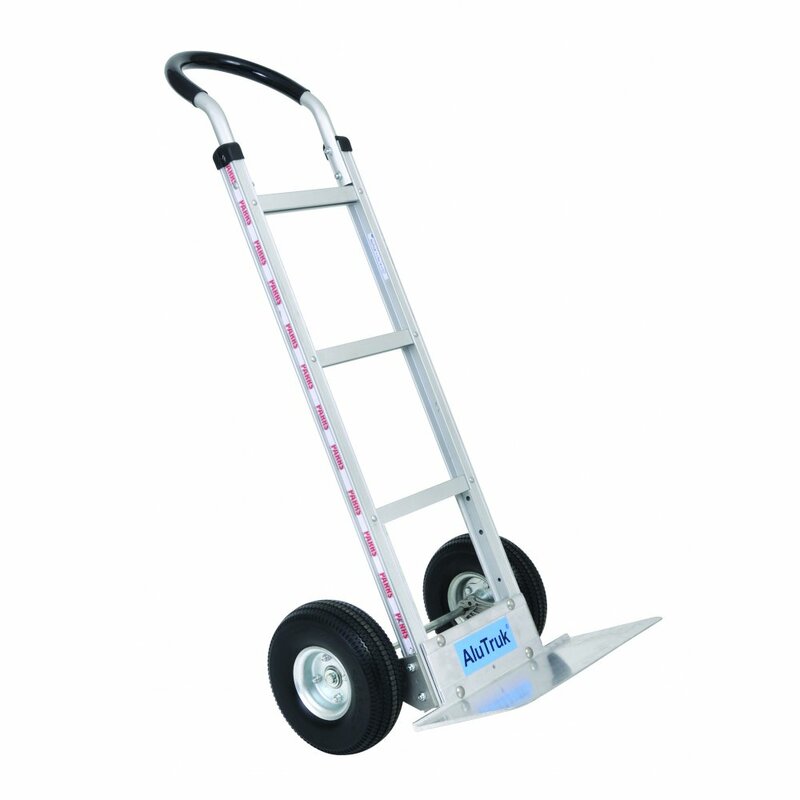 The Basic Hand Truck is a hard working, energetic truck with a big heart. If you want a quality truck at a economic price then you can stop looking, because you have found it! Lightweight aluminium construction, stronger than steel and easier to carry. Hardwearing, rustproof and no paint to chip. Modular design allows for easy replacement parts. Interchangeable components to suit different applications therefore trucks can be upgraded in the future. Weld free –simple nuts and bolts construction means no stress cracks or re-welds. Fitted with magnesium alloy brackets that are more temperature resistant and more impact resistant than aluminium ally brackets. Straight back frame with uprights and cross members for general use. U loop handle fitted with comfort grip sleeve. Available with 260mm Dia. pneumatic or puncture proof wheels. Due to its interchangeable components AluTruk® can be built to your specific requirements. If you have an enquiry please contact our Customer Service Team on 01527 585777 to discuss your needs further.